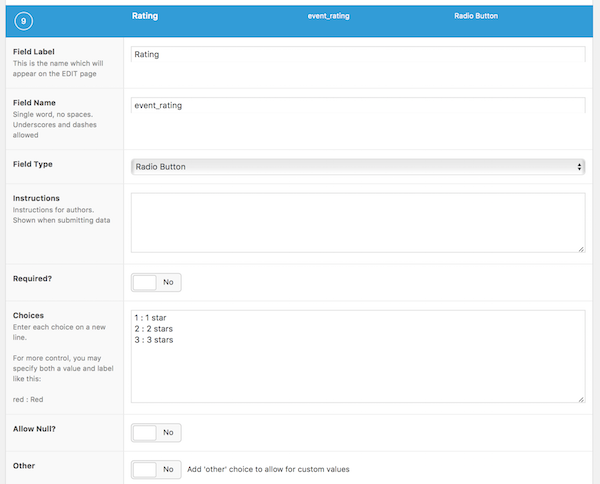 As of Beaver Themer 1.2.1, you can use the Advanced Custom Field (ACF) plugin's Radio button field type as a field connection, as a conditional shortcode, and as conditional shortcode testing for a value. See the Related Articles below for background information about field connections, shortcodes, conditional shortcodes, and how to use specific ACF field types. Be sure to leave a space between the value and the label. Then be sure to select what you want to be returned as the value in the Return value field. This will affect how you set up conditional shortcode that tests for a value in your Beaver Builder layout. The field connection has to be the only value in the field. In this example, the field connection is added to the Heading field of a Heading module in a Singular Themer layout. Open the Themer layout for editing and add a module to display the field. Click the Plus icon next to the module field. Scroll down in the list to Advanced Custom Fields, mouse over ACF Post field, and click Connect. Change Field type to Radio and for Field name enter event_rating, then click Save. The field connection displays in the Heading field, as in the following screenshot. The field value 3 stars displays in the Heading module, as in the following screenshot. 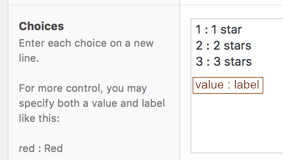 Note: If you choose to distinguish the value from the label with the notation value : label, the label will appear on the post's editing page where the author chooses a rating, but by default, the value 3 will be displayed on the published page with this field connection. You can change what is returned in the ACF Return value setting. Suppose you want to add the prefix Rating: in the Heading field along with the ACF Radio Button value. In this case, you'd use the shortcode. You can add the shortcode by following the previous procedure and choose Insert rather than Connect, but we'll just provide the shortcode here that would go into the Heading field. Suppose you want to write some other text depending on the value of the Radio Button field. In the following example of a conditional shortcode, if the rating is three stars the result is the text "A perfect 3!" and otherwise the text "Less than perfect." Note that this value is still a Text string by virtue of the fact that the shortcode is in a Heading field. If you add a default value, the Themer field connection will only display the default value for new posts or when an existing post is updated. This is true whether or not you make the field required. If you set Allow null to Yes, the radio button group can be blank, so the field will not display in the published page but there will be a vertical space in the published page where that field value should appear, because the HTML markup is there but the content isn't. 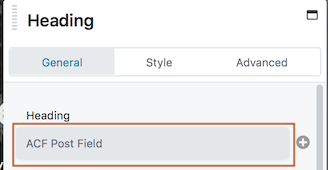 If you allow the user to set other values by setting the Other field to Yes, the field connection and shortcodes will display user-assigned values without a problem.